1. 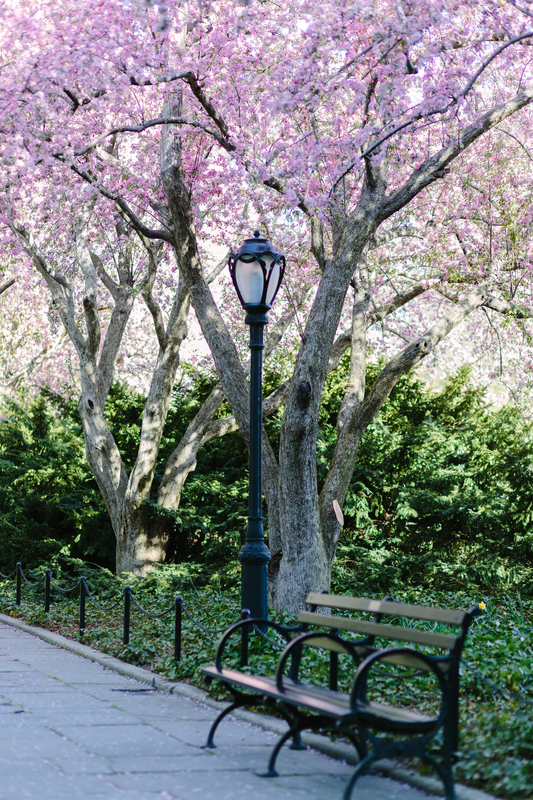 To get to the Conservatory Garden, you can walk uptown on Park Avenue – you’ll get to enjoy the famous Park Avenue tulips and cherry trees in full splendor! 2. Fewer crowds! Guys, I love Central Park – but it’s often really crowded. 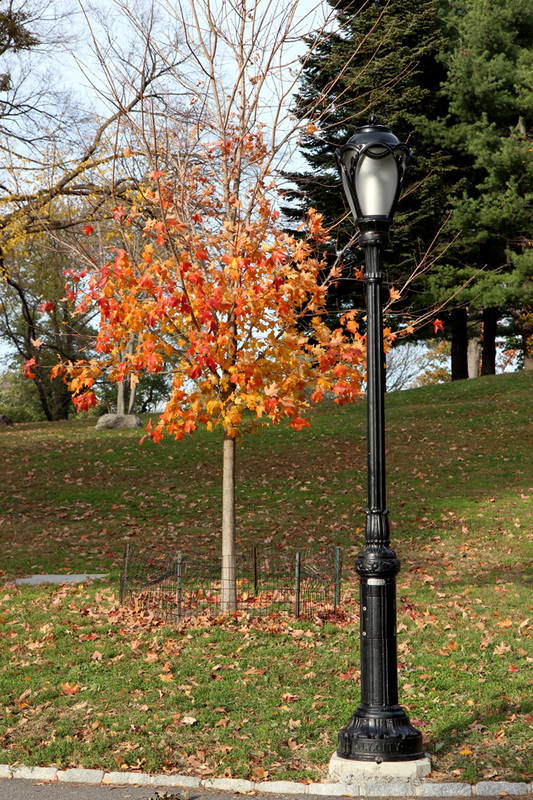 Sometimes it feels less like a nice stroll in the park and more like you’re fighting the same crowds that throng the city sidewalks. 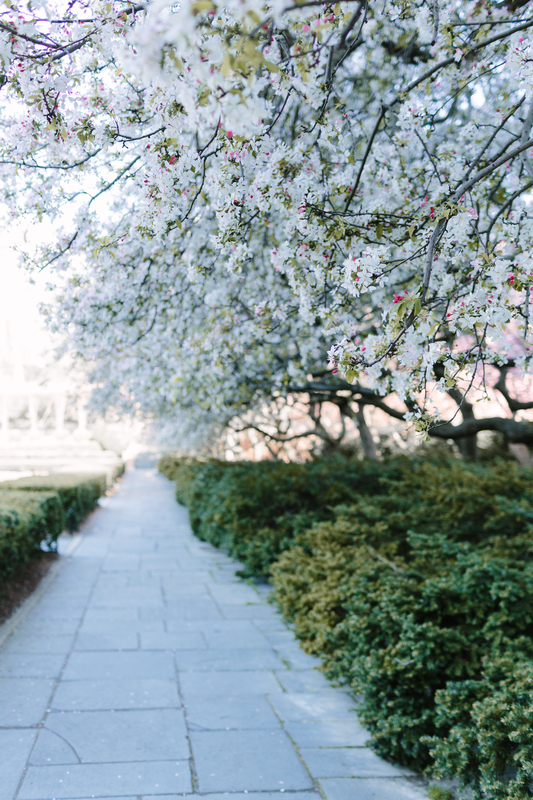 The Conservatory Garden is a whole different animal – not too many people know it exists, and a lot of people aren’t keen to walk that far uptown anyway, when most of the Park’s main attractions (Bethesda Terrace, the Bow Bridge) are more central. 3. The trees! 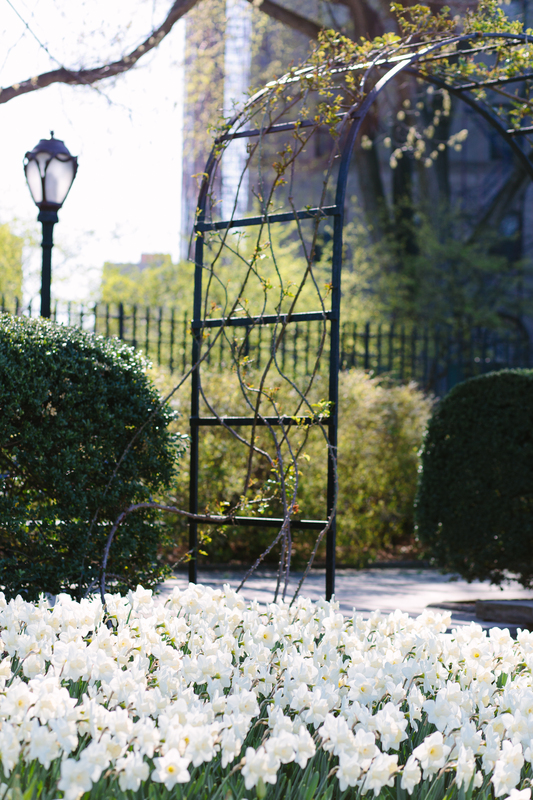 The Conservatory Garden is composed of three distinct gardens, and the middle section is in the Italianate style. 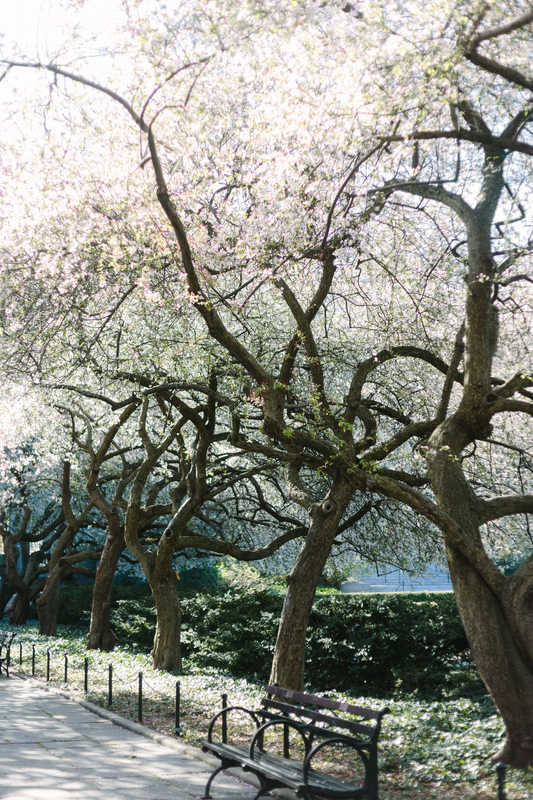 It features a lawn bordered by rows of pink and white crabapple trees. 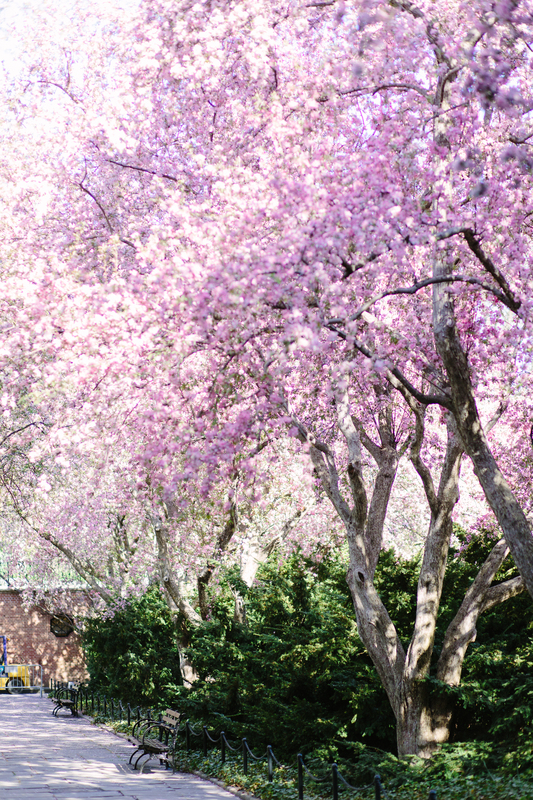 I’ve always loved these allees but I’ve never seen them in full bloom…it’s spectacular. 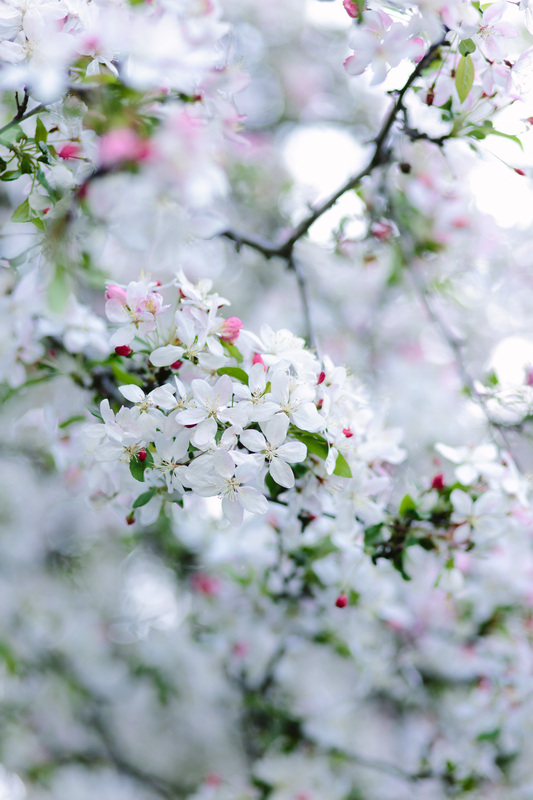 These white crabapple trees with the little pink buds – so pretty. 4. Quiet! 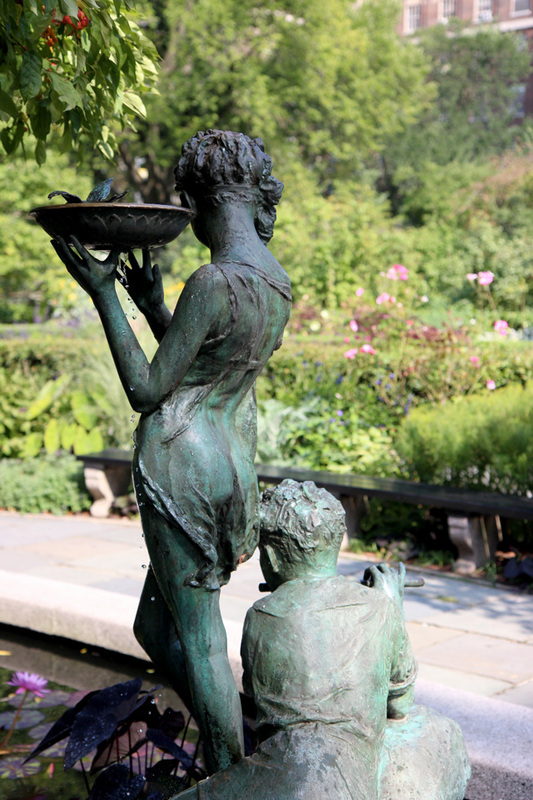 The Conservatory Garden is the only designated quiet zone in the Park, which means no music, performers, bikes, etc. It just adds to the idyllic nature of the garden. 5. The daffodils. 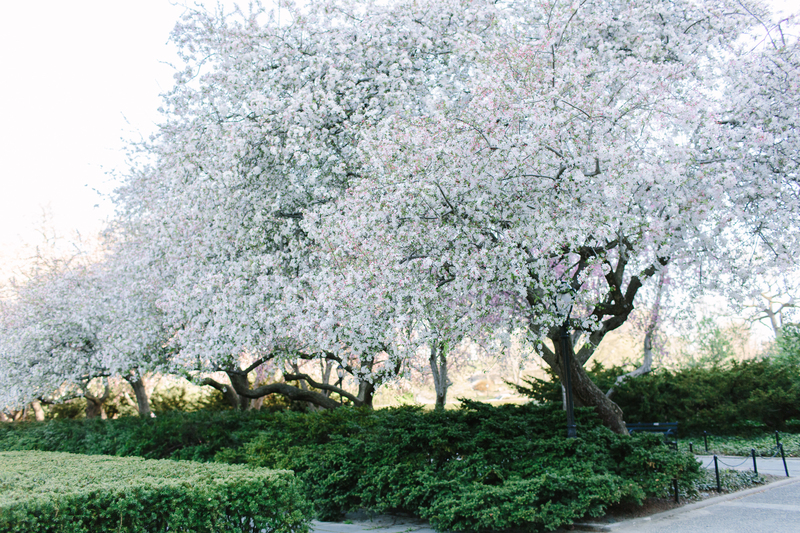 Guys, I’ve NEVER seen the Northernmost section of the Conservatory Garden in bloom like this. The first few times I came, this area was under construction and this whole round part was just dirt…womp, womp. Another time I came and the chrysanthemums were in bloom. 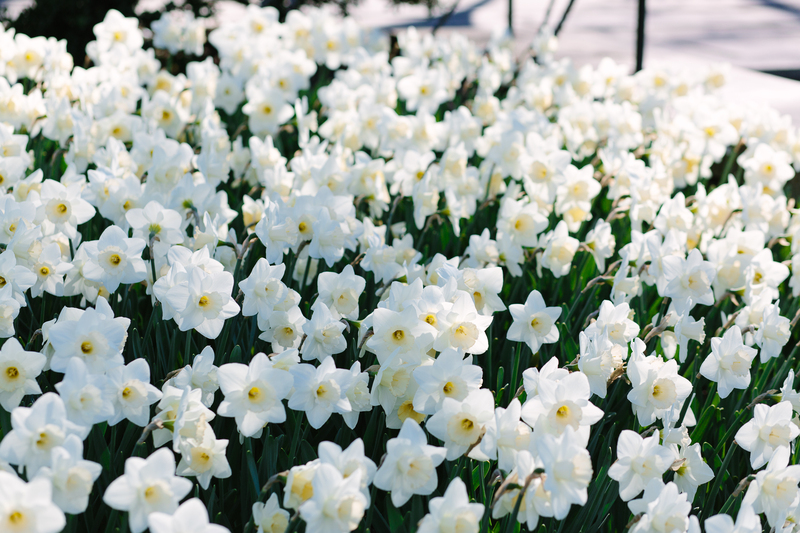 Pretty, but…daffodils are my favorite flower, and seeing this many of them filled me with delight! Adding this to my to do list ASAP! So amazing + beautiful!! I’ve never been up that far in the park but I totally agree — further downtown it gets SO insane. Diana you don’t happen to grow up in Nebraska did you?! ohmy – I have to go now! It’s definitely worth the trek uptown! Oh, wow…I’m in awe of these images. How I wish I could go there. 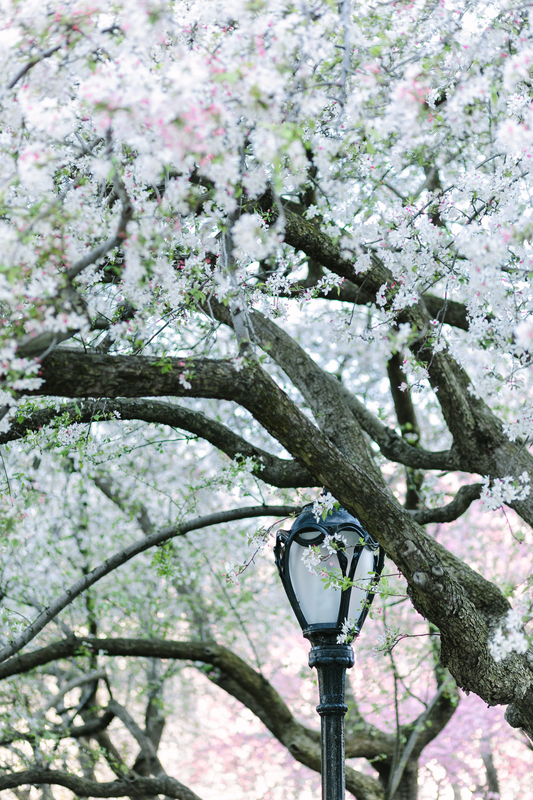 I cut through Central Park today to walk to the subway and saw some of the beautifully flowering cherry blossoms. It was fantastic. 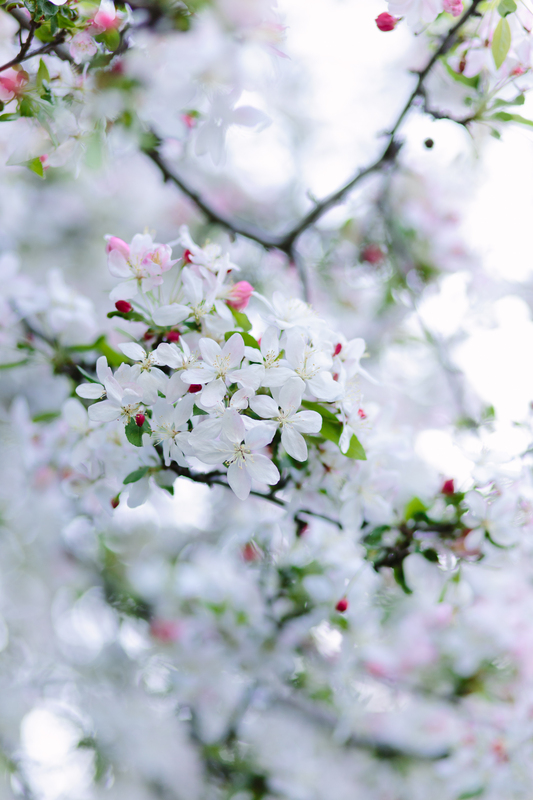 Your photos are gorgeous as well. 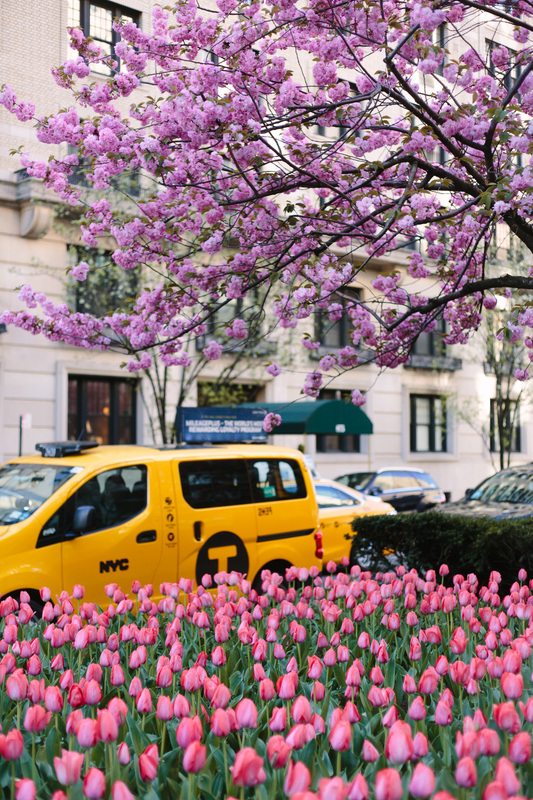 There are also some really pretty flower beds that are now blooming all along 5th Avenue on the Upper East Side. I went here yesterday with a group for a sweet 16 photo session. 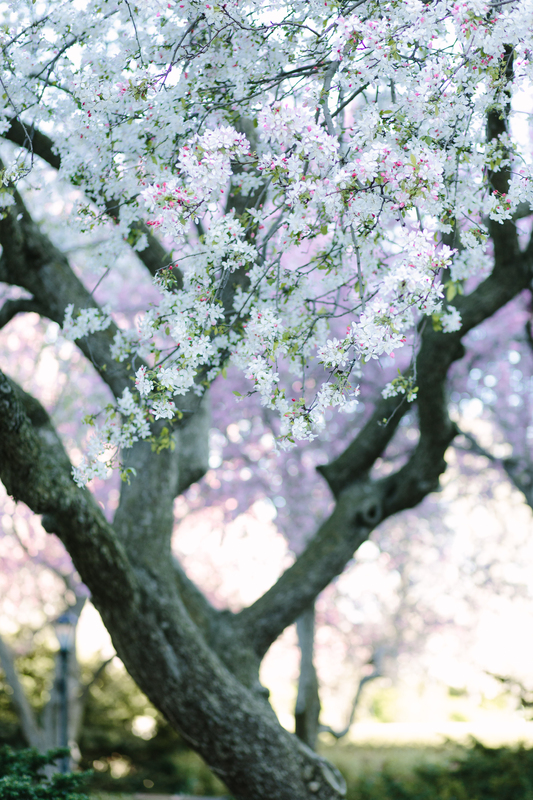 It is so pretty and serene. I love how they protect it as we weren’t allowed to do the session since we don’t have a permit. Amazingly beautiful!!! I want to visit here when I’m in the city this May. Hopefully it will still be this beautiful. Thank you for this great post.